Oooh: how pleased are we to see this? 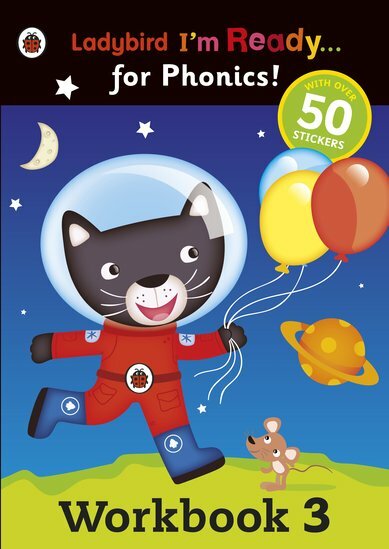 Phonics games and stickers from a series you’ll love. Ladybird’s phonics series is one of our firm favourites. Zippy action, great characters, easy phonics practice and zingy colour pictures. All with more snap, crackle and pop than a bowl of Rice Krispies. And now this fill-in workbook gives you the chance to join in with the fun. It’s got over 50 stickers, plus heaps of puzzles and activities to stretch your reading muscles. Learning with extra energy!